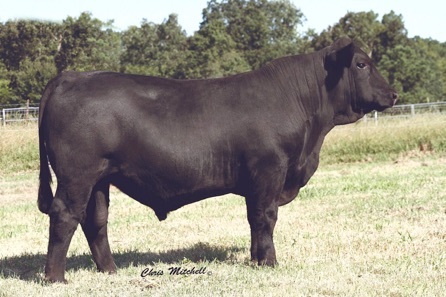 Top selling bull in the C-Cross Cattle Co. 2012 Bull Sale. Carolina Exclusive progeny excel with weaning and yearling performance, muscle and thickness, volume and soundness. 101 weaning weight and 113 yearling weight ratios on his dam.